Share the post "Enforced disappearances and answers to two questions"
BANGLADESH has now come to make its mark globally with an ominously growing trend — enforced disappearances. Bangladesh experienced such an event for the first time before the independence in December 1971 when Pakistan military with the connivance of its local collaborators abducted and murdered 17 intellectuals. Prominent writer, journalist and filmmaker Zahir Rahman met with the same fate in January 1972. In recent years, the first documented case of the abduction was that of rights activist Kalpana Chakma which took place in 1996. 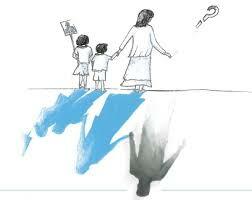 In the past seven to eight years, the incident of enforced disappearance has reached an alarming height in Bangladesh. Ain O Salish Kendra, a rights group based in Dhaka, records that 524 people have been subjected to enforced disappearance between 2010 and 2017. Of the 524 people, 190 have returned or have been shown arrested while the rest have remained untraced. The latest victim of an apparent enforced disappearance is Maruf Zaman, a former ambassador of Bangladesh to Qatar and Vietnam, trailing a series of three such other incidents involving university professor Mubashar Hasan, book importer Tanvir Yasin Karim and journalist Utpal Das. German Nazi leader Adolf Hitler is, interestingly, identified to have been the first to officially adopt forced disappearances as a means by endorsing the Night and Fog Decree in 1941. The objective of the decree was to capture people in occupied territories thought to have put ‘German security’ at risk. By way of the decree, officials did not have to give out any information on the people captured so as to intimidate enemies of Germany. Colonial policies of the European imperialist countries such as Britain and Spain also have examples of such heinous methods to suppress the colonised. 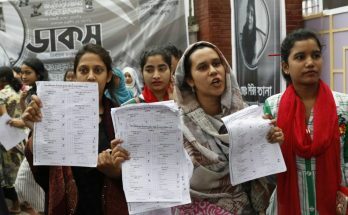 The enforced disappearance that Bangladesh has now been facing at almost regular intervals originally became a household phrase in Latin America when the dictators and military rulers of Latin American countries — mainly Chile, Argentina El Salvador, Guatemala and Colombia — adopted this method in the 1960s and the 1970s as a political tool to suppress opposition. The Mother of Plaza de Mayo movement in Argentina, which flared in reaction to this dirty political tool, helped to create a global awareness of the issue. It was, however, not a Latin America-specific political tool. It was evident in the United States too when it implemented Counter Intelligence Programme, or COINTELPRO, in the 1960s, targeting mainly groups and individuals that were against the Vietnam War, campaigned for civil rights and were involved in feminist activism. The method was also deployed in the past, as already mentioned, and is also now in practice in more than 100 countries, according to the 2017 report of the UN Working Group on Enforced or Involuntary Disappearances. The report shows that Iraq tops the list with 16,416 in terms of the outstanding cases reported to the working group from 1980 to 2017. In South Asia, Sri Lanka has the highest number of outstanding cases, almost 6,000, followed by Pakistan with 723 cases, Nepal with 470 cases, India with 368 cases and Bangladesh with 49 cases. A couple of questions, in such a situation, naturally come up — why do states continue committing this crime against humanity? And does this dirty method of enforced disappearances, now rising as a global phenomenon having a legacy in the colonial past, mean that we will have to tolerate or turn a blind eye to the issue? In an answer to the first question, Mexican professor Heinz Dieterich, in an article published in the Journal of Crime and Social Justice in 1986, offers a relevant narrative in the context of Latin American countries. He explains that enforced disappearances are a bid to create ‘new channels of state intervention’ on part of the ruling elite to make ‘the coercive power of the state autonomous’ from the ‘institutional restraints’ such as constitutions, existing legal regimes, judicial norms, etc. The autonomy of using violent power gives them the scope to sidestep ‘the internal controls of political society’ like ‘judicial control of police forces’, offset the role of civil society and enhance ‘the degree of psychological effectiveness of state terror to its highest possible level.’ If this is the case with Bangladesh, as explained by Dieterich, given a growing number of incidents of enforced disappearance, it paints a very grim picture for whichever party remains or comes to power in future. We must not forget that the latest wave of enforced disappearances in Bangladesh has made its appearance in the political arena in the aftermath of the 2002 Operation Clean Heart and the formation of the Rapid Action Battalion in 2004, when the current ruling party was not in power. Who knows what the future has in store for those who will not be in power then? Given the current context of enforced disappearances, the answer — which might be the worst of all answers — to the second question would be: we should not accept or justify this crime against humanity and say that murders are preferable in the sense that a physical murder at least leaves a corpse behind, with a personal and social identity of a human to be mourned by the family and friends while the forced disappearances leave families and friends waiting with uncertainty, hoping every day to get the victim back, until they die. 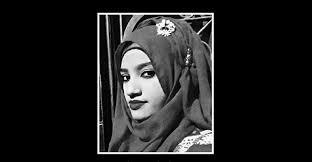 Enforced disappearances are, indeed, more agonising than killing as the victim ‘ceases to live… or rather had ceased to have lived’ from the moment the incident takes place, as described by Hannah Ahrendt in his book the Origin of Totalitarianism (1966). Enforced disappearances, extrajudicial killing, or whatever it is and wherever it takes place, are the obvious symptoms of a narrow, partisan state, if not already a malfunctioning or an obnoxious state. It practically signifies a state run by a small minority of oligarchs who monopolise power and authority in their own interests. 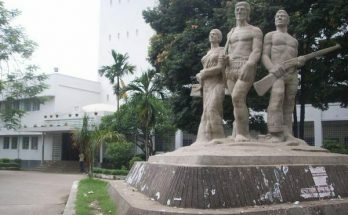 The recent manifestation of enforced disappearances in the body politic of Bangladesh is the result of the vicious partisanship and vested interests that all the parties in power and their cohorts, whoever or whatever, have more or less practised and preserved in the past 46 years since the independence of the country.